Over the past few months I've been really into taking baths and relaxing a little bit more. I've also been pushing myself quite hard with pilates and stretching so taking baths to soothe my muscles has also become quite a regular thing. I've been finding myself reaching for all sorts of different potions, bath bombs and salts depending on my mood and needs. For muscles I've been chucking in heaps of Epsom salts. For relaxation I just finished up using the Neal's Yard Remedies Aromatic Foaming Bath. 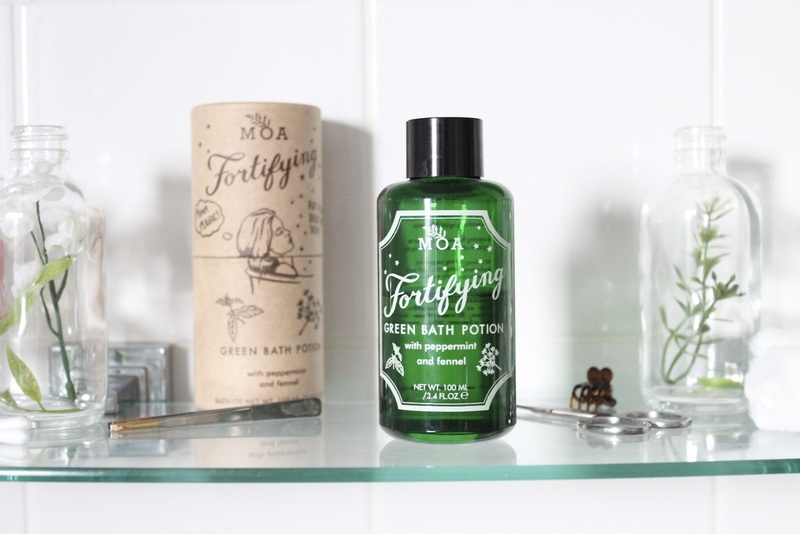 But for days when I feel exhausted, sluggish or a bit ill I am loving this MOA Fortifying Green Bath Potion. This potion has a really unique mix of essential oils and scent. Fusing Peppermint (a fave) with Fennel, it's quite an acquired scent. By BF is not such a fan but I love the clean, medicinal scent. It is really invigorating and peppy. Perfect for helping me unwind and cleanse my senses and body while I soak. The liquid is a very pale green and when added to the bath it makes the water go slightly milky/cloudy. There's no foaming, just beautiful droplets of the essential oils that you can swoosh into the water to mix and release the scents. The Peppermint is the first scent to release followed by the Fennel. Bliss. 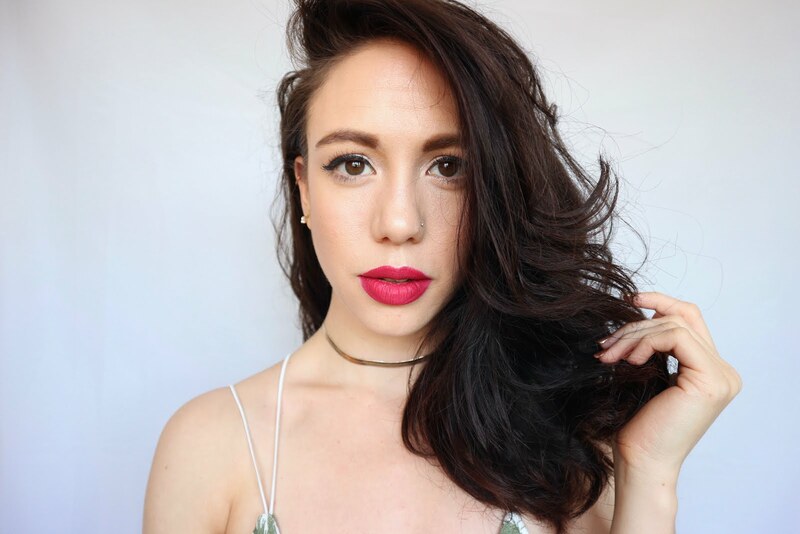 Other essential oils included in the formula are Jojoba and Sunflower Oil for super moisturising properties and also Yarrow extract and Fir Needle oil for doubly invigorating power! I seriously love this bath potion, the only downside is that because it is so packed full of essential oils and quality ingredients, it makes it pricey. It's £27.50 for 100ml which is expensive but even so I think I would purchase this as a bath treat and save it for special occasions.